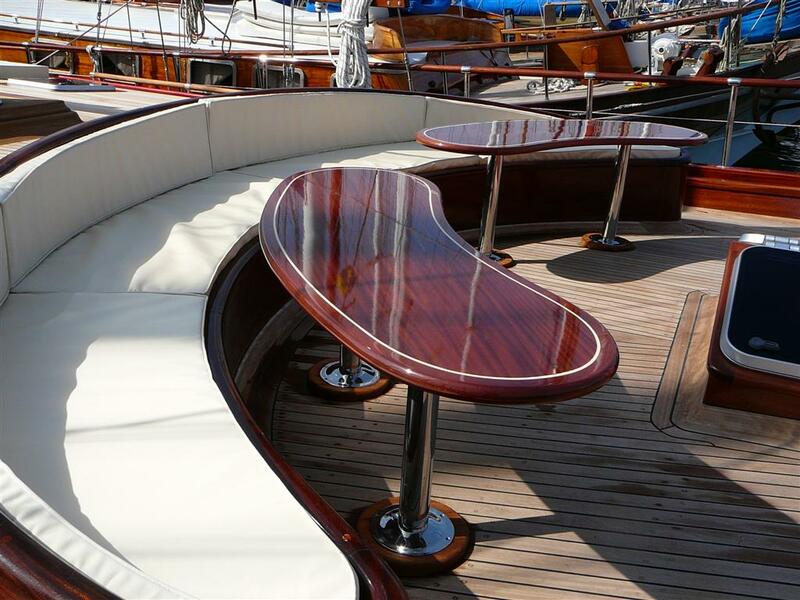 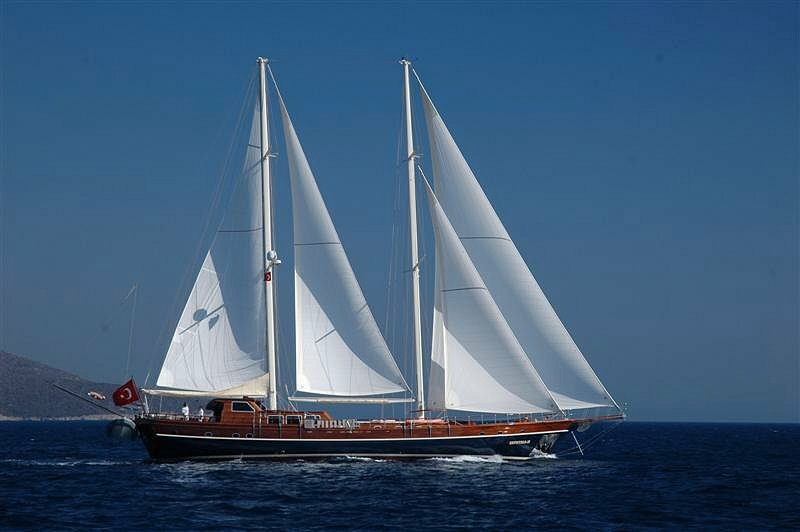 is the latest in Zephyria Yachting's line of sister ships and has benefited in design and appointment from those gone before. 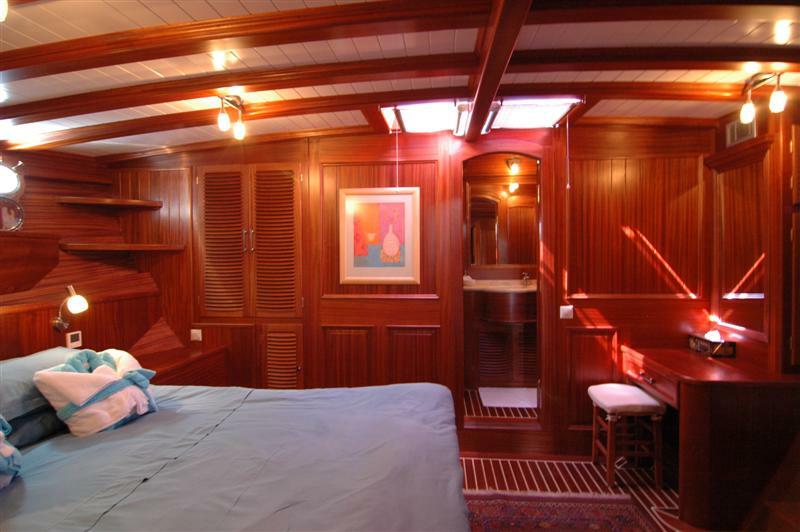 She is sleeker and faster and features additional amenities including seating and tables on the foredeck, while each cabin is exquisitely appointed. 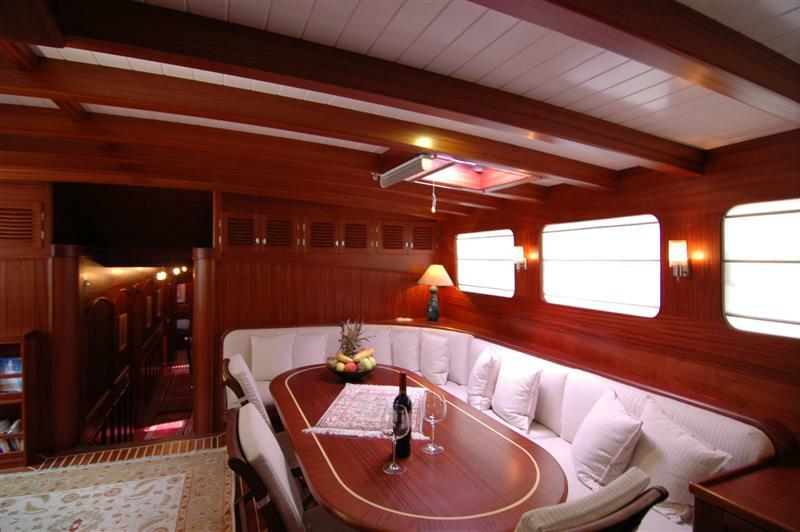 Furnishings are practical and comfortable, permitting ample area for relaxation as well as space for ten guests to maneuver. 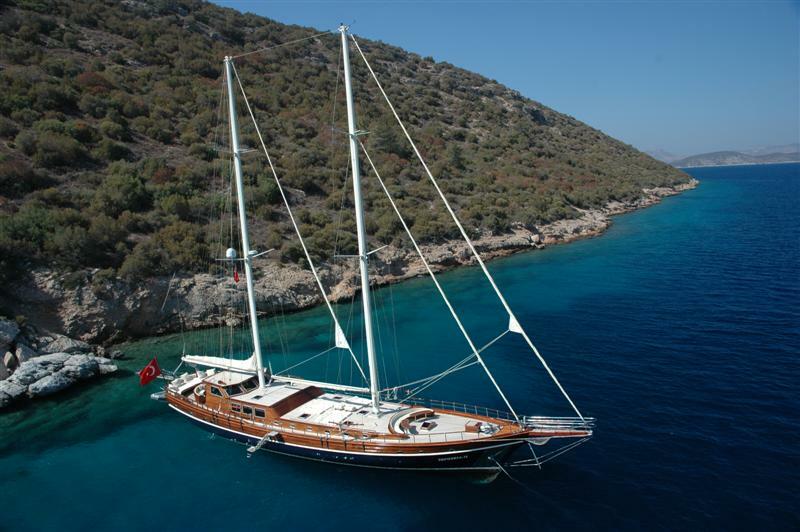 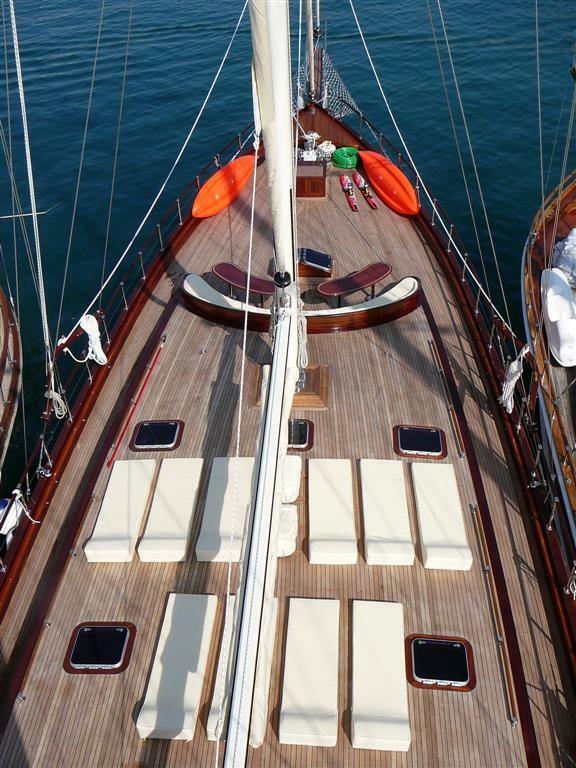 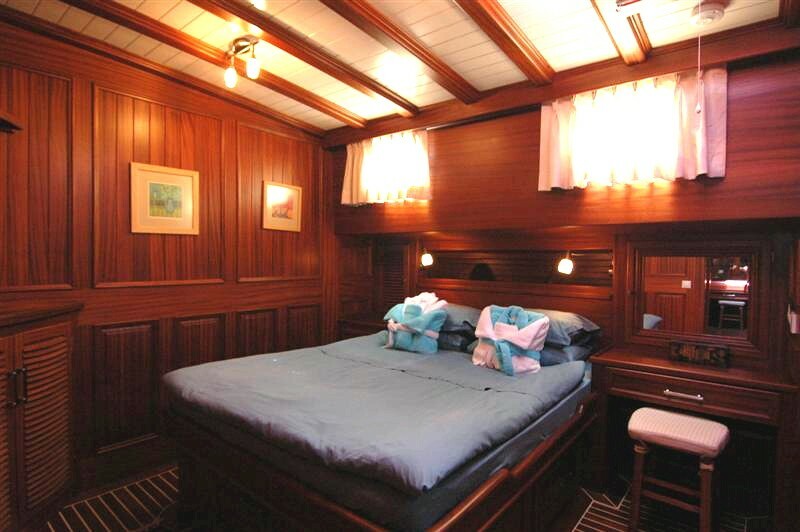 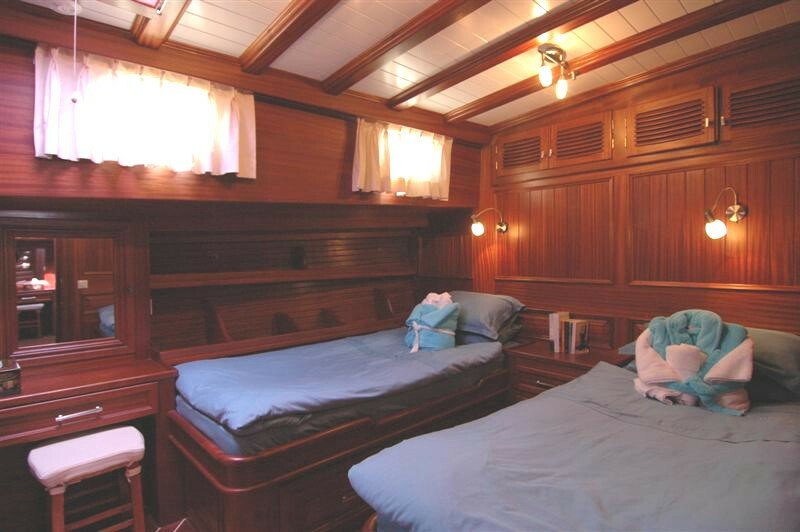 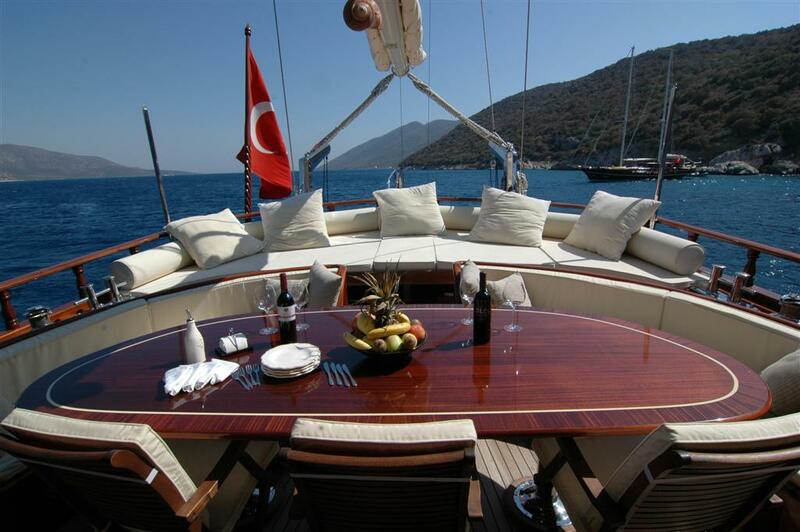 Zephyria II has all the amenities and elegance of an exclusive yacht.